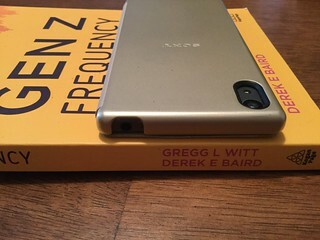 A FEW WEEKS AGO, I saw Derek Baird happily announce the publication date of The Gen Z Frequency and today I got my copy! It's published by Kogan Page. This is a big deal for Derek and his co-author Gregg Witt. It also resonates into my attic. Let’s start upstairs in my attic. That's because I'm very interested in harvesting part of my attic—-the part containing several hundred Moleskine journals-—and writing a 300 page book from what I’ve already scribbled in the journals. 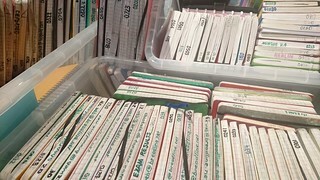 I index all of those little journals with a year and a sequential number. Currently, I’m on journal number 1805. Occasionally I will go back ten years to see what I was doing, thinking, and writing back then. On many occasions, I page through and see my goals are still the same. One of those goals is getting into print. In my case, getting published has evolved into an elusive lifelong goal. Derek and Gregg have already accomplished this goal. After a quick scan of the book's Table of Contents and Index, I can see several ideas that directly relate to work I do with Ireland’s Youth Media Team. I’ve helped these high-spirited teens during the past five years channel their confidence of expression into syndicated podcast interviews. And I’ve noticed that during the past five years, the persona of the average young teen has changed a little. My observations are reinforced while reading several of the TL;DR sections of The Gen Z Frequency . Mike Carnevale produced several very nice hand-drawn illustrations inside The Gen Z Frequency . They are playful and authentic. Several would be welcome additions to the slide decks I use with community youth groups and academic staff. This is a well-written book with an actual Gen Z Playbook inside. The 290 pages include several high-quality case studies and exceptionally current research citations. Both the playbook and the case studies will be excellent points of reference for inexperienced staff members and for students who create multimedia material for Gen Z consumption. I need to add The Gen Z Frequency to our campus library because it directly affects all the marketing majors that I meet. An effective marketing officer can't merely count money spent for display advertising or for online advertisements. To reach Gen Z, you have to offer an engaging story that culminates in an immersive experience. This fact is spelled out clearly in The Gen Z Frequency . I'm putting an in-depth review on Medium after I speak to one of the book's authors.